Dress: Karl Lagerfeld for Macy’s Impulse. Coat: Vintage. Bag: Vintage. Shoes: Leifsdottir. Tights: Express. Watch: Skagen. Bracelet: Gift. Earrings: The Weekend Store. 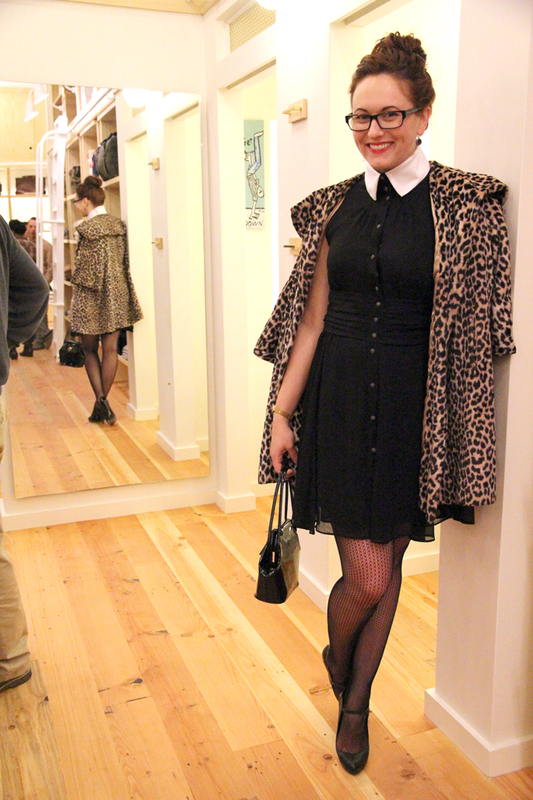 Last week I had a fashion themed night on the town with Meghan of Voilà! She sums up the evening pretty well here, but I’ll give you a little recap as well, just for the heck of it. We started the night at the FashTech panel, which was just beginning when the whole block was evacuated due to a gas line bursting (I really hope they reschedule this event, I was really enjoying it). We ran into Susan (founder of ModCloth) on our way out and she joined us for dinner and drinks at Prospect. It’s no secret that I have a huge crush on ModCloth (the company, the clothes, the dogs… the whole package!) so I was really excited to chat with her. 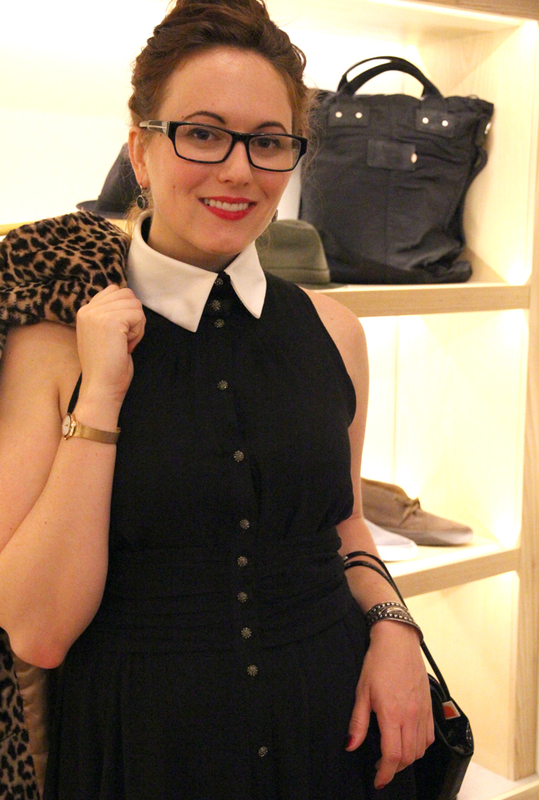 After dinner, Meghan and I headed over to the opening party for the new Steven Alan shop in Hayes Valley. It was a really swanky little gathering with delicious treats and a great crowd. 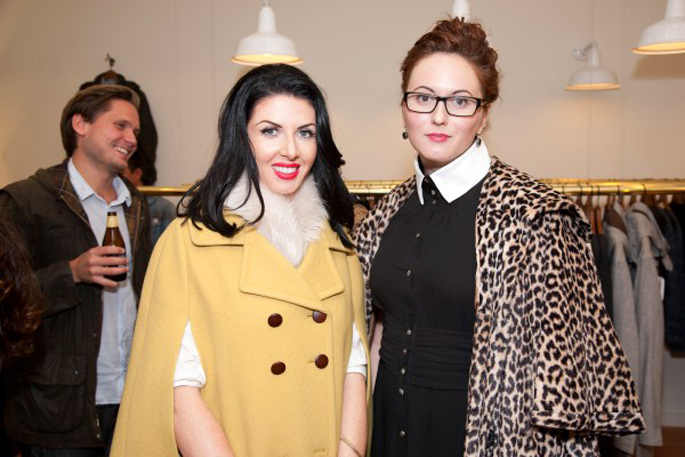 Check out more photos from the evening on Meghan’s blog and on Refinery29! Great post!!! Love the comprehensive blurb! And yes–let’s hope they reschedule FashTech! !